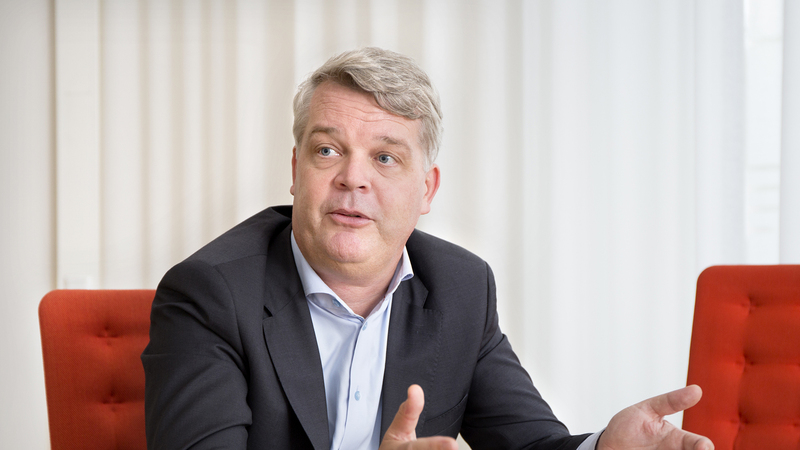 Zug, Switzerland, 23 January 2019 — Energy Web Foundation (EWF) today announced that Walter Kok has been named its first chief operating officer. Kok brings nearly three decades of experience leading customer solutions and operational teams in complex, global organizational environments, including in the fields of fintech, telecommunications and information technology (IT). Prior to joining EWF, Kok was COO of bank-wide operations at ING Bank, where he drove a series of transformation programs and built a new type of operating model better equipped to deal with the challenges of regulatory requirements and technological disruption. In addition to ING, Kok’s prior experience also includes senior board positions at Vodafone Global Enterprise, BT, NEC Corporation and several startups. As EWF’s COO, Kok will work closely with Affiliates, customers, and internal team members to launch and operate the Energy Web Chain. He will help develop a portfolio of decentralized applications (DApps) with EWF’s partners to further the digital evolution of the energy system. Kok’s addition to the team comes at a pivotal time when blockchain technology is fast gaining serious respect and adoption in the energy sector, and as EWF—both as an organization and via its ecosystem of Affiliates— is expanding rapidly. The EWF ecosystem includes energy majors, utilities and grid operators, fintech and information technology firms, software developers, and more, and Kok’s decades of experience in those arenas will help EWF navigate an exciting year ahead that includes the full commercial launch of the Energy Web Chain planned for mid-2019. With Kok’s addition to the executive team, EWF continues to recruit leading talent for its C suite. In August of 2018, EWF announced Shell’s Hervé Touati as its first CEO, Rocky Mountain Institute’s Jesse Morris as chief commercial officer, and MET International AG’s Raffaella Piraino as chief financial officer. Energy Web Foundation (EWF) is a global nonprofit unleashing blockchain’s potential to accelerate the transition to a decentralized, democratized, decarbonized, and resilient energy system. EWF is building the shared, digital infrastructure—an open-source, scalable blockchain platform—specifically designed for the energy sector’s regulatory, operational, and market needs. Co-founded by Rocky Mountain Institute and Grid Singularity, and with a worldwide network of over 100 affiliates and growing, EWF is the largest energy blockchain ecosystem and the industry’s leading choice as the foundational blockchain base layer, providing the digital DNA building blocks powering the world’s energy future.